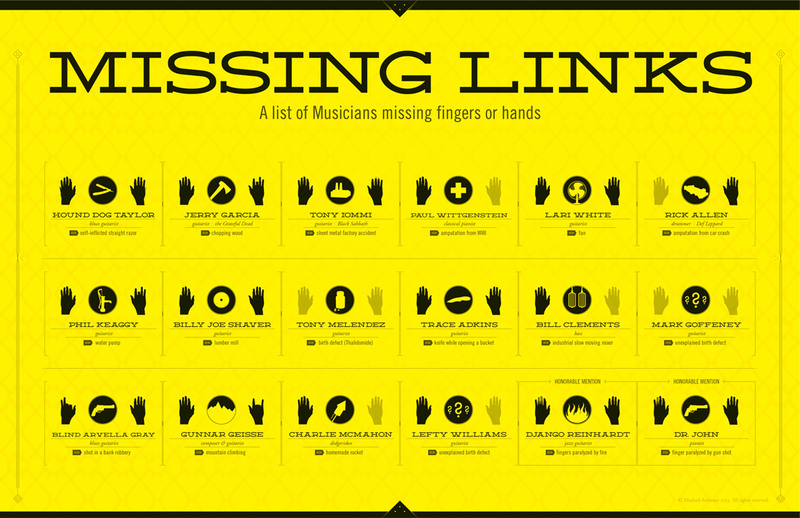 An information diagram of musicians missing fingers or hands and how they lost them. Sometimes limitations are all in your mind. Missing Links visualizes 16 musicians who, despite missing fingers or hands, have overcome their disabilities and continue to make music. This poster lists which bands the artists are members of (if any), what instruments they play, and how they lost their digits. Also included are two honorable mentions with paralyzed fingers.